I don't have words to express how lucky and grateful I am for having staying in this place. I had a leg injury during my stay and the staff went above and beyond to make me feel like home and make sure I felt safe. I would like to specially thank Diana and Yanina for their kindness and service. Ushuaia has become a special place for me not only for its beauty but for its people. I have not been in such a wonderful place. 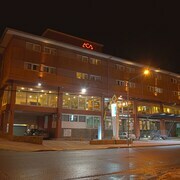 And for the hotel, it is in a quite street a few blocks from the main street. 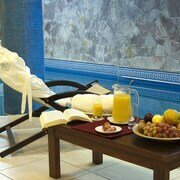 The rooms are very cozy, clean and nicely decorated. 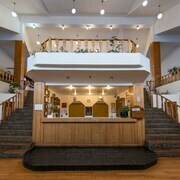 The breakfast is great and there is a balcony upstairs where you can have an incredible view of the town and its surroundings. 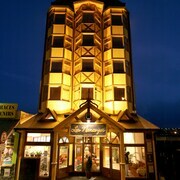 I highly recommend this hotel and this town. Staff was great. Loved the quiet and the walk up towards the glacier. If you like pastries, their tea room is just the place for you. Excellent pastries. 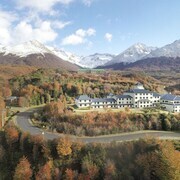 Which hotels are closest to the Ushuaia airport? 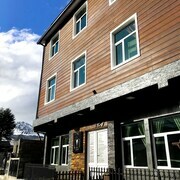 Where to stay near top Ushuaia attractions? 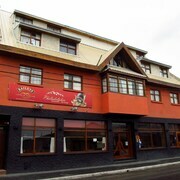 What kind of hotels are in Ushuaia? 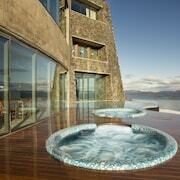 Which hotel chains are in Ushuaia? 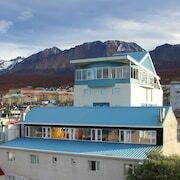 Visitors to Ushuaia are sure to enjoy the local tours and mountain views. 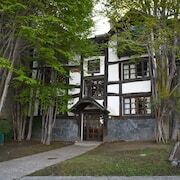 Tourists can also enjoy all the city has to offer including its museums. Cultural venues in the city include Maritime Museum, Historia Fueguina Thematic Gallery, and Yamana Museum. The hiking trails and mountain views highlight the city's natural beauty with places to visit including Vinciguerra Glacier, Esmeralda Lake, and Yatana Park. Taking local tours is one of the top activities, while Cerro Castor, Ushuaia Bay, and The End of the World Train are favorite sights to visit. 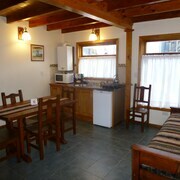 Cabañas Del Martial - This 3-star cabin features ski slopes, free breakfast, and free WiFi. 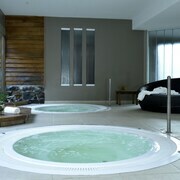 Arakur Ushuaia Resort & Spa - Our customers like the pool and helpful staff at this hotel. 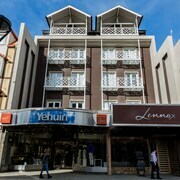 With a stay at this 5-star hotel, guests can enjoy access to free breakfast and a restaurant, along with free WiFi. 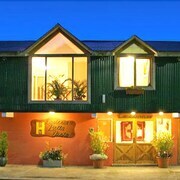 Los Cauquenes Resort + Spa + Experiences - With a stay at this 5-star hotel, guests can enjoy access to a full-service spa and free breakfast, along with free WiFi. Expedia customers like its breakfast and helpful staff. 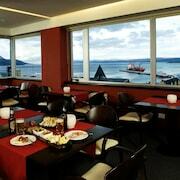 What are the most popular hotels in Ushuaia? 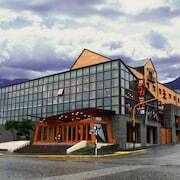 Are there hotels in cities near Ushuaia? 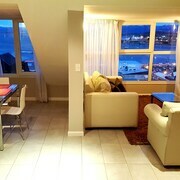 Explore Ushuaia with Expedia.com.au’s Travel Guides to find the best flights, cars, holiday packages and more!